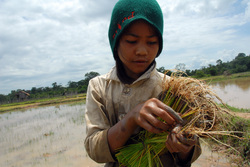 Cafod is a UK based charity that helps 3rd world and developing countries across the globe such as Uganda and Ethiopia. CAFOD in the race against poverty. Be part of our team of runners in The ING New York City Marathon - one of the world’s greatest road races. Cross the finish line in Central Park and help give a better life to some of the world’s poorest people. Whether you are an experienced runner or just fancy a new challenge, running for CAFOD is a great way to raise money and keep fit at the same time. Why should you choose CAFOD? hospitality on the day of the race. When you run for CAFOD we don’ t ask you for a minimum pledge but we do hope that our runners associate with the cause and do their best to help CAFOD tackle poverty. 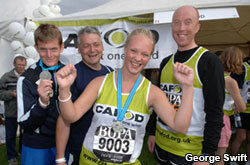 Last year CAFOD’s running team raised £40,000 – help us to be even more successful this year!